Edinburgh International Film Festival 2016 – Screenkicker comes to town – Screenkicker! That’s not really true though. I’m not coming to town, I live in the town. Instead a marauding horde of directors, writers, actors, and film students are on their way to take over Edinburgh for two weeks. Think of me as a fearless reporter embedded in the middle of the warzone, putting his life on the line (I tend to drink a lot of beer between screenings) to bring you all of the exciting goings on in Scotland’s capital. So before the action starts I’m here to bravely smuggle out to you my list of movies and events that are worth a look at the festival. At ease soldier! 1. The UK premiere of Finding Dory makes a splash. 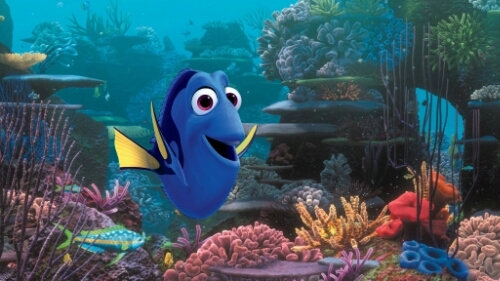 Dory is a ‘blue tang’ fish. Is it wrong that I’d like to eat her? Ok, don’t tell anyone but I’m not a huge fan of Finding Nemo. Maybe it’s because I can’t swim so was terrified the whole time but it’s not one of my top Pixar films. That doesn’t mean I don’t have high hopes for the sequel Finding Dory so you’ll have to check in and see what I thought of it and to hear the opinions of someone who has had to hold their breath for ninety minutes. 2. Kevin Smith and his daughter will be presenting their new film – Yoga Hosers. One thing that Kevin Smith is great at is talking. And he’s going to have a chance to do lots of it at EIFF 2016. He’s here to introduce his latest film Yoga Hosers which stars not only his daughter Harley Quinn Smith but also famous divorcée Johnny Depp. It’s a horror comedy featuring a literal sausage fest of Nazi monsters. It’s also reminiscent of Clerks with the main characters working in a convenience store. 3. 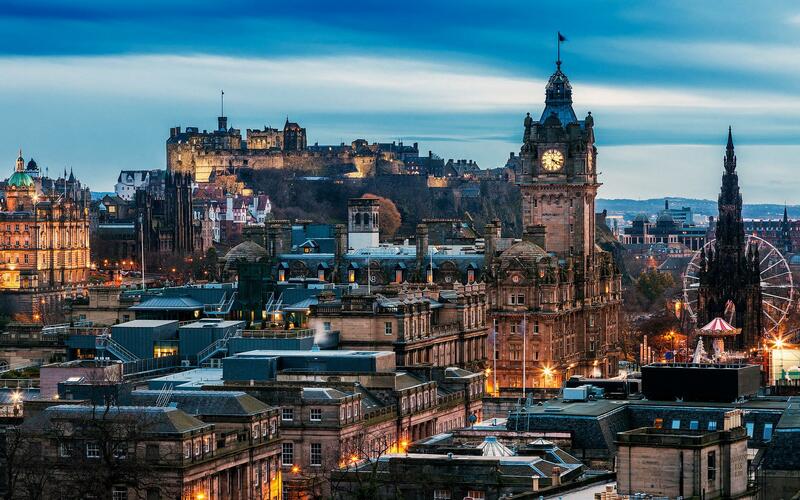 Horror films are well represented in the most haunted city in the world. Film Festivals aren’t always the best place to see up and coming horror movies so it’s always nice to see EIFF supporting them. This is the festival that I threw an entire pint of beer into my own face at the first screening of The Conjuring. Scary flicks this year include FirstBorn – a creepy child (is there any other kind?) with powers film, The ReZort – a film about a safari park filled with zombies for killing, and Holidays – a anthology movie directed by the brightest up and coming horror directors working today. I’ll be clutching my pint extra tightly. The Connery shaving method took a lot of practice. 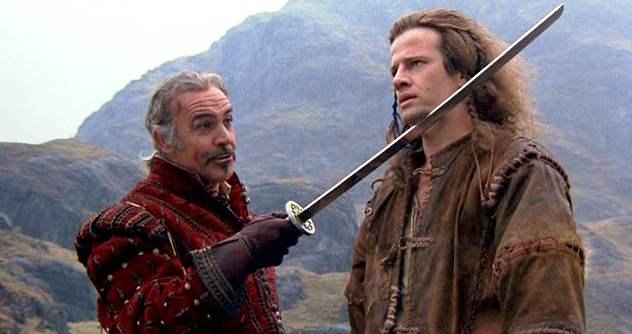 Who doesn’t love Highlander? No one, that’s who! So I’m extra pumped for the special 4K World premiere screening of the crazy classic. If you’ve never seen the film this is an amazing opportunity to see how nuts it is. The 4K screening is on the 18th of June and will be attended by The Kurgan himself otherwise known as Clancy Brown. I’ll be seriously disappointed if he doesn’t decapitate anyone on the red carpet. Lastly there’s the reason we’re all here, Screenkicker will be bringing you the best news, reviews, and interviews of the best films at the festival. Look out over the next two weeks for my occasional festival diary where you’ll be the first to find out who I’ve upset, what’s happening in the Euro 2016 football (I can’t ignore it. Come on Northern Ireland!!! ), and whether pampered actors can cope with the harsh Scottish weather. It’s going to be interesting. Are you attending the festival? What’s your favourite Pixar films? Have you ever been trained by an Egyptian nobleman to cut the heads off your enemies? Let me know in the comments below. I love the sound of it! Looking forward to your reviews — I’m game for Yoga Hosers. A “Clerks” cult revamp? It sounds crazy, like a silly horror comedy. I’ll let you know as soon as I see it Cindy! I am not generally a Pixar fan but I do love Finding Nemo and am quite looking forward to Finding Dory. Where’s your Kevin Smith interview man?